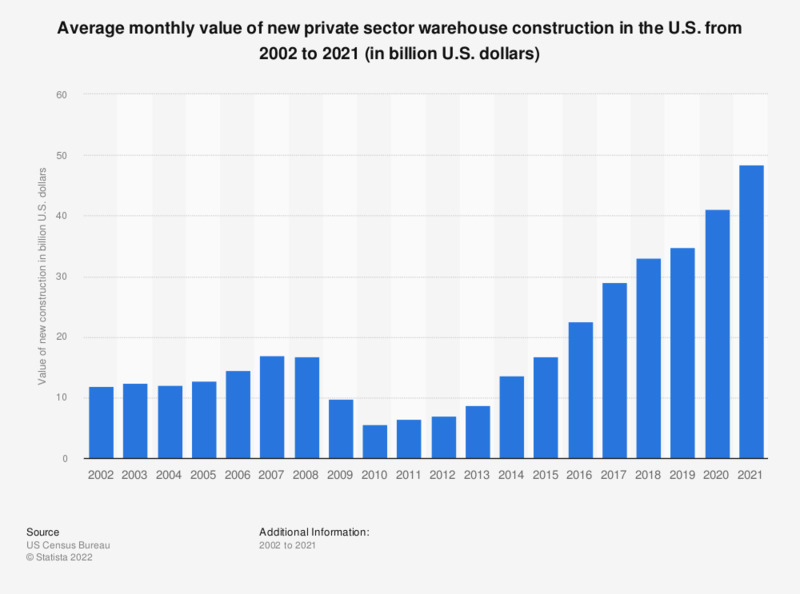 The statistic shows the value of new private sector warehouse construction in the United States between 2002 and 2018. Here, warehouse buildings to the value of around 33.8 billion U.S. dollars were constructed by the private sector in 2018. The figures for 2002 through 2008 are taken from previous editions which can be found here, under the annual figures.
. Figures for 2016 and 2017 have been restated in the 2018 edition of the report.